On the Pacific island nation of Palau you’ll find Spot Cool Stuff’s favorite inland scuba diving location: Jellyfish Lake. Though it wasn’t always a lake. 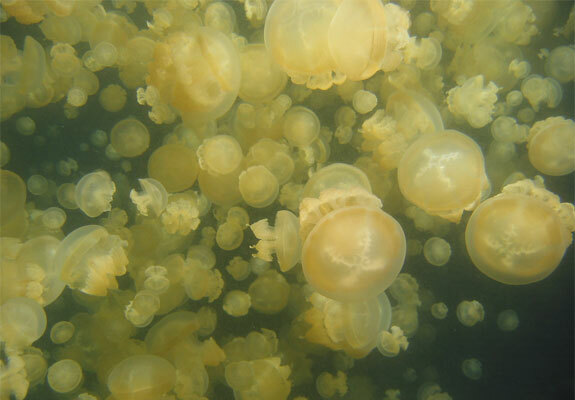 Long ago Jellyfish Lake was an ocean inlet with a small reef at its mouth. Over the years the reef built up and the slow but inevitable march of geology conspired to completely cut the inlet off from the ocean. At first there were probably only a few dozen jellyfish stranded in the new lake. Also stranded were enormous quantities of algae (the jellyfishes’ food source) and nitrogen (the algae’s food source). And so the jellyfish thrived. Today, Jellyfish Lake seems as much jelly as water. This makes for a surreal diving experience, moving around in water that is itself a moving gelatinous mass. So, um, do the jellyfish sting? you are likely asking yourself. Technically they do, yes, but so minutely as to be imperceptible to humans. Still, going scuba diving or snorkeling in the lake is not for the squeamish. 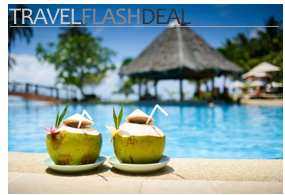 But if you can bring yourself to take the plunge you’ll be rewarded with one of the most outstandingly weird and incredible travel experiences on the planet. When To Go: Late May through August (when there are fewer visitors and cheaper prices) but really there is no bad time of year. This is incredibly amazing and terrifying. However, it is good to know the stings are imperceptible – I wonder who had the courage to try it out first? I am constantly looking for new places to see and new things to do in order to push my boundaries and my comfort zones. This seems like an amazing way to do this. Although I don’t know if I will ever get the chance to make it here, it is a simple reminder of my desire to travel and experience the most I can. Fortunately, the internet is a great way of communicating such information to people who might have never known of such places otherwise. 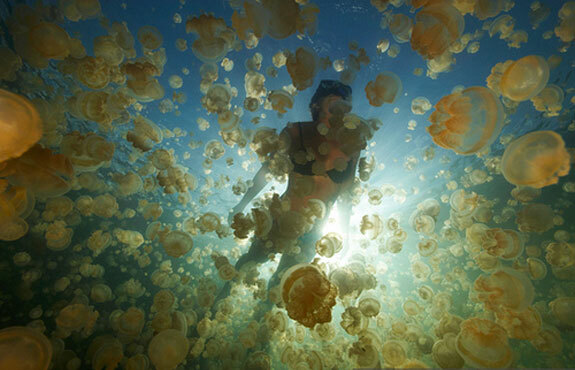 I am going to Palau in February and will be going ino jellyfish lake. Does anyone know if crocodiles are in the lake? Im 14 and im OBSESSED with jellies! So for my 15th birthday i ask my mom if i could go swimming with them,not knowing it was out of the country.I find this amazing i hope i can go but the chances are very low. Great Pictures! Don’t worry about the jellyfish, the crocodiles are more of a worry!